Between the Lines dresses the bed with sophistication and style, cleverly playing all the angles. Smart and vibrant–-like your favorite 1940s heroine–-Between the Lines is a snap to make. Make sparks fly! This style is provided as a digital pattern. It may be printed on home printers using either 8 1/2" x 11" or A4 paper. When you complete your order, you will be provided with a unique code to instantly download the pattern. See our digital product policy for full details. Between the Lines dresses the bed with sophistication and style, cleverly playing all the angles. 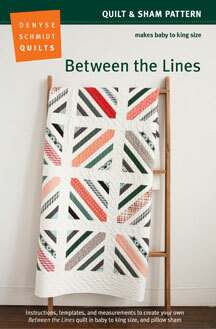 Smart and vibrant–-like your favorite 1940s heroine–-Between the Lines is a snap to make. Make sparks fly! 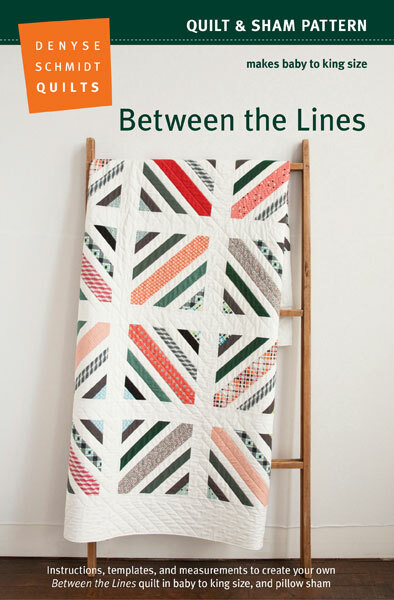 Create your own Between the Lines quilt as shown with the vintage-modern appeal of Denyse’s Florence fabric by FreeSpirit Fabrics. A quarter yard of each print (or use a pre-cut Fat Quarter Bundle) will make up to a king size quilt with fabric to spare. 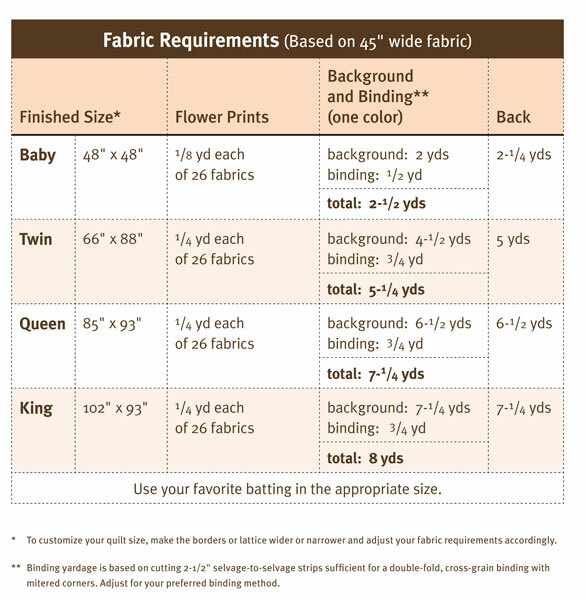 For fabric requirements, click the thumbnail image found at the above right. 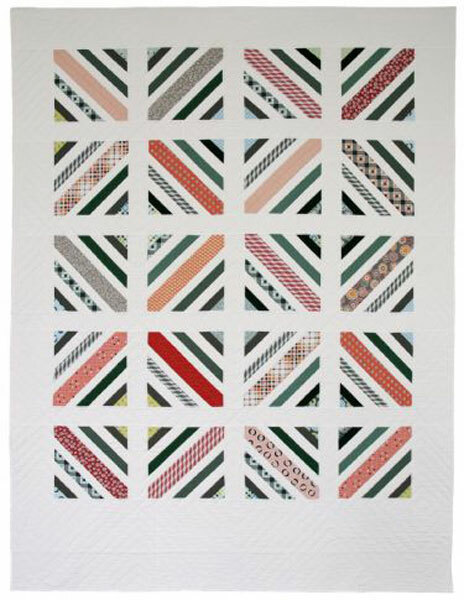 All Denyse Schmidt Quilts patterns include instructions and measurements for making the quilts in crib, twin, queen, and king sizes. This is a beautiful pattern. I especially like that the designer did not cut the squares or strips on the bias. I had to modify the pattern somewhat. I cut the corner triangles on the string blocks so their longest edge was not on the bias. The string blocks cut to 11 1/2" and then finish at 11". I wanted to cut them at 12 1/2" so I could use my 12 1/2" square ruler to cut them and then have them finish at 12". This seemed like a much easier way to get the squares to be square. I am also making the quilt with blue as the main color instead of white because white never stays white (at least at my house). When I finish the quilt, I will upload a photo (if I the computer will let me) so you can see the different color option.